San José, Costa Rica, February 25, 2016 (Newswire.com) – As Costa Rica’s vacation home and investment real estate market heats up, Palms International Costa Rica and LX Costa Rica have aligned to expand their current property offerings and luxury real estate services. (San Jose, Costa Rica) February 2016 – With the announcement of a new strategic partnership, two of the top luxury real estate firms in Costa Rica have joined forces to offer their clients a broader portfolio of quality properties and services in Costa Rica. Palms International Realty, based near Los Suenos Resort and in Guanacaste, and LX Costa Rica, based in prestigious Escazu near San Jose, will now be offering buyers and clients more enhanced services and additional resort and luxury properties in a tactical exchange of exclusive listings and client privileges. LX Costa Rica’s clients will now have an opportunity to enjoy the same professional services while buying second home and investment properties in Costa Rica’s most prestigious beach and resort areas such as the Los Suenos Resort and Marina and Guanacaste’s highly exclusive Hacienda Pinilla and popular Tamarindo. “Partnering with LX Costa Rica presents the opportunity for all of our clients to explore the finest options for luxury properties in Escazu as well as the most popular vacation areas of Costa Rica,” adds Peterson. By offering a larger portfolio of unique and luxurious properties to each company’s prestigious list of clients, both real estate firms see an ideal opportunity to not only grow their respective market shares but provide enhanced real estate and rental services to their clients. Palms International Real Estate (www.PalmsRealtyCR.com) has been a leader in International Real Estate sales and marketing for over 15-years throughout Latin America and the Caribbean, and a leading real estate agency in Costa Rica’s coastal areas since 2006 with offices in Los Suenos and Hacienda Pinilla, Guanacaste. 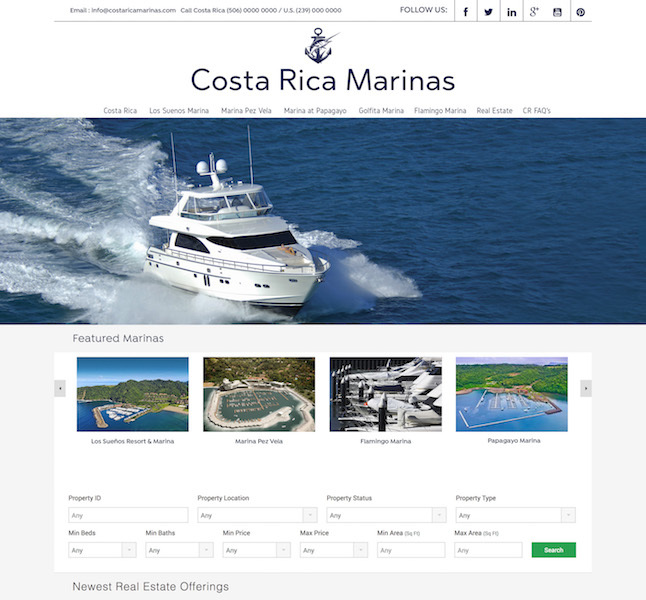 With in-depth knowledge of the overall Costa Rica real estate and rental industry, Palms International is now the fastest growing Coastal real estate brokerage in Costa Rica. LX Costa Rica (www.lxcostarica.com) is the leading luxury real estate agency in Costa Rica’s capital. The agency boasts the largest curated collection of residential luxury properties with an average historic listing of over $1,5000,000 and an impressive client base of UHNWI, including former presidents, top executives, leading NGO directors, and media personalities. LX Costa Rica is consistently recognized for award-winning sales and marketing, a deep understanding of the luxury real estate market, and discreet access to San Jose’s finest portfolio of luxury properties.